Dr. Abhijeet Dhoble received his medical degree from Government Medical College, Nagpur, India, where he was inducted into the Alpha Omega Alpha Honor Medical Society. He completed his residency in internal medicine at Michigan State University in East Lansing. This was followed by his fellowship in preventive cardiology at the Mayo Clinic in Rochester, Minnesota, his fellowship in cardiovascular diseases at University of Arizona in Tucson and his interventional cardiology fellowship at Cedars-Sinai Medical Center in Los Angeles, California. Dr. Dhoble is board certified in internal medicine, cardiovascular disease and interventional cardiology. In practice since 2009, Dr. Dhoble has clinical interests that include interventional cardiology, transcatheter valve repair/replacement, ASD/PFO/VSD closures, paravalvular leak closures, Watchman device closure for left atrial appendage, high-risk complex coronary interventions, catheter-directed thrombolysis for massive pulmonary embolism(PE) and peripheral artery intervention. 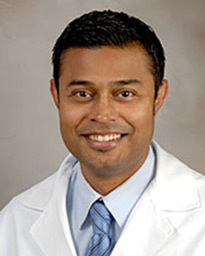 Also holding board certifications in adult comprehensive echocardiography, nuclear cardiology and cardiovascular computed tomography, Dr. Dhoble treats patients 18 years and older. He speaks Hindi. As a faculty member of McGovern Medical School at UTHealth in Houston, he has a large academic practice.